Dr. Chiu's research interests in the area of injury prevention and control. He has more than 20 years of experience in injury research and has coordinated joint projects among different national and international institutions. The research center has collected a total of 166,742 traumatic brain injury cases, thus establishing one of the largest injury databases in the world. He adopted a stepwise public health approach in an attempt to reduce this problem in Taiwan. A nationwide motorcycle helmet law was implemented on June 1, 1997 in Taiwan that result in motor-vehicle death rate dropped down 37%and there were 7,322 motor-vehicle injury deaths in 1991 descending to 4,637 deaths in 2006. Since the implementation of the helmet law more than 3,000 cases saved each year, which means near 30,000 people were saved during last 10 years. Dr. Chiu's accomplishment in the field of injury prevention and control have been acknowledged by the scientific community as he was awarded the prestigious Ming-Ning Wang Memorial Award in 1996 on account of the nationwide research of Head injury in Taiwan, and 50 at 50 outstanding contributors of the University of Pittsburgh, Pennsylvania, U.S.A. in 1999, for his contributions to the field of head injury prevention and motorcyclists' helmet use law. He is the President of an important international conference for neurotrauma-- International Conference on Recent Advances in Neurotraumatology 1999 (ICRAN 99), which was held in Taipei, Taiwan in 1999. Dr. Chiu had obtained a Laboratory Grant Award (grant number NHRI-EX95-9106PN). The topic is 'Assessment of Guidelines of Management in Severe Head Injury". In 2005, he was elected as the president-elect of Asia Pacific Academic Consortium of Public Health and the president of the 37th Annual Conference which was held in Taipei, Taiwan Nov. 19-23, 2005 with the main theme "Health Security in Emerging Disasters in the Asia Pacific." In total, Dr. Chiu has published 242 articles, 230 conference papers and 24 book chapters, mostly in the injury field. Dr. Chiu and his group have received 58 research grants during the past 20 years. He is the founder and former Director of the Graduate Institute of Injury Prevention (2001-2004), Taipei Medical University, which is the first institute in the injury field in Taiwan. 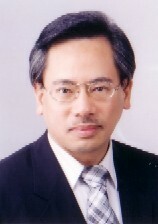 As the great achievement in the field of head injury (Neurotrauma), Dr. Chiu was awarded 17th Medical Dedication Award(Speical Award Recognizing Individual Contribution), and was elected to be the President of the 2nd ISRN (International Society of Reconstructive Neurosurgery) which was held in Taipei, in 2007. Dr. Chiu and his group have two major breakthroughs in the management of STBI. One is the completion of the modification of WHOQOL-BREF for evaluation TBI (Journal of Neurotrauma 2006(23), 1609-20). The other is the establishment of Taiwanese guideline in the management of STBI. Currently, there are only 3 guidelines of STBI (USA, Europe, Japan) published. Taiwan is the 4th country to apply evidence-based guidelines in STBI. The English version of "Clinical Practice Guideline (CPG) in Severe Traumatic Brain Injury" has been published in September 2007. 1. Tsai SH, Chen WL, Chiu WT*, International Aeromedical Evacuation, The New England Journal of Medicine. 2007 356(16):1685. 2. Tsai SH, Kraus J, Wu HR, Chen WL, Chiang MF, Lu LH, Chang CE, Chiu WT*, The effectiveness of video-telemedicine for screening of patients requesting emergency air medical transport (EAMT). Journal of Trauma. 2007 62(2):504-11. 3. Hung KS, Lee TC, Lin JW, Chang CK, Tsai SH, Chiu WT*: Gene transfer of insulin-like growth factor-I providing neuroprotection after spinal cord injury in rats. Journal of Neurosurgery. 2007 6(1):35-46. 4. Chiu WT, Huang SJ, Hwang HF, Tsauo JY, Chen CF, Tsai SH, Lin MR: Use of The WHOQOL-BREF For Evaluating Persons With Traumatic Brain Injury. Journal of Neurotrauma. 2006 23(11):1609-20. 5. Chiu WT. And Ho YS*: Bibliometric Analysis of Homeopathy During The Period Of 1991 To 2003. Scientometrics. 2005 63(1), 3-23.